"We identified the management and recycling of waste as an area that would deliver significant sustainability outcomes. The end results surpassed our expectations"
Frasers Property Australia is focused on providing leadership in sustainability, and has made a national commitment to achieving a Green Star rating on every new project. In a first for Western Australia, Frasers Property Australia’s new Perth office fitout has achieved 6 Star Green Star – Interiors v1 certification, demonstrating world leadership in sustainable interiors. 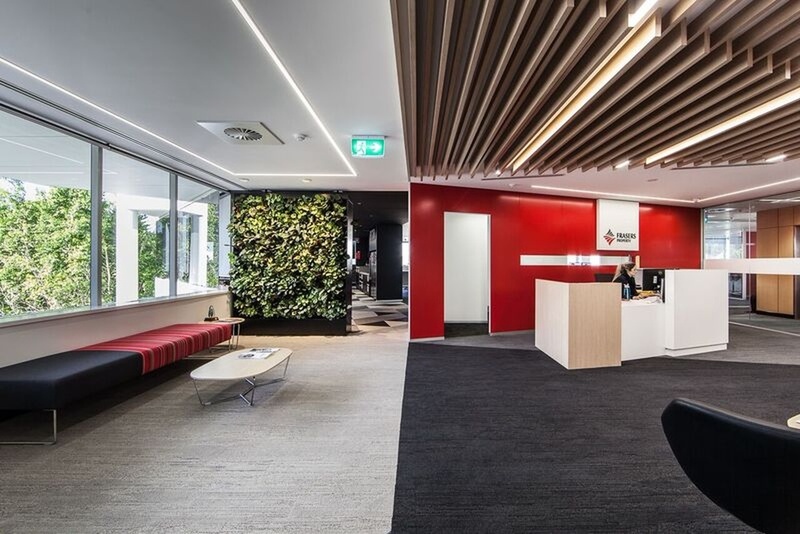 The fit out of the 900m2 project on Havelock Street, West Perth has been optimised for both efficiency and wellbeing – with 6 global innovation credits targeted using the WELL Building Standard. This space includes 100% sit to stand workstations, an electric vehicle charging station, a staff hub, four meeting rooms, three workhorse areas, a communications room, reception area and waiting area, two utility rooms and storage. What’s most innovative and impressive about this project is that careful planning and waste management saw only 0.35 kg per m2 of construction and demolition waste sent to landfill during the fit out. That’s less than half a bag of sugar per square metre. And this also earned Frasers Property Australia the first Green Star – Interiors waste innovation points. 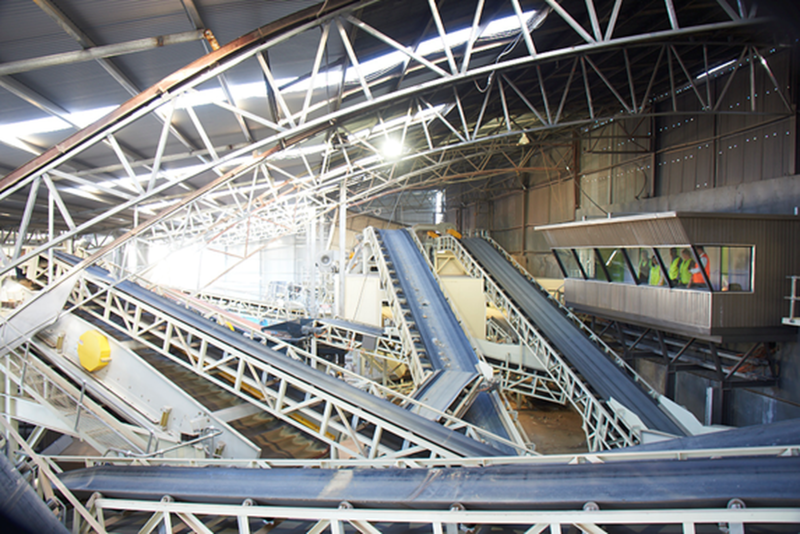 Frasers Property Australia, through its head contractor, Built, engaged Instant Waste Management to maximise the recycling of waste and minimise land fill quantities. Based on the size of the project, the team could have chosen to send over three tonnes of waste to landfill, while still meeting the Green Star – Interiors tool requirements. However, not content with status quo they pursued a much more sustainable, and innovative outcome – resulting in less than half a tonne of waste. "We worked with our waste contractor to develop a waste management plan with actual limits of waste generation per square metre. These were achieved, enabling us to more than double points we expect to earn towards our Green Star – Interiors rating. We are proud to achieve industry-leading performance." The lightweight nature of the project’s refurbishment waste streams meant that more than 95 per cent of the project’s waste could be recycled via a commingled collection bin – collected only when full by a dedicated small rear lift compaction truck. By limiting the number of commingled recycling bins available, and ensuring subcontractors were on board with reducing, reusing and recycling site waste it controlled the unnecessary disposal of materials and limited the journey’s to and from the waste facility. The load was tipped and inspected at the Instant Waste Management recovery facility, where the Green Star – Interiors tool conversion ratios of square metres to tonnes were used for the different waste types collected, prior to being recycled. This process was both sustainable and cost friendly – with its reduced landfill levy and minimal waste transportation. Jake Hickey, Instant Waste Management, Waste consultant & recycling service provider. The open and transparent process of recording the waste amounts, the demonstration of Green Star waste reporting criteria compliance and the timely provision of waste reporting between the facility, the project team and ESD consultant contributed to the final rating. More than 80 points were achieved for this project, with five per cent of points originating from waste and innovation. 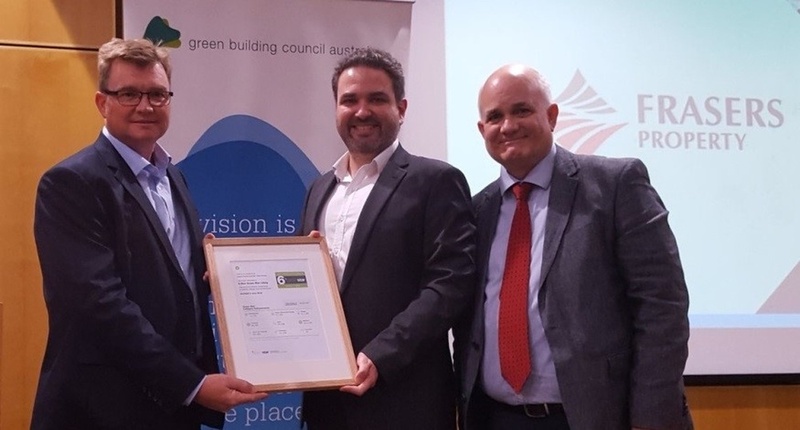 The project was presented with its 6 Star Green Star – Interiors v1 certificate at the 2016 Green Building Day conference in Perth. Want to visit this space and learn more? Join our site tour on 25 August.